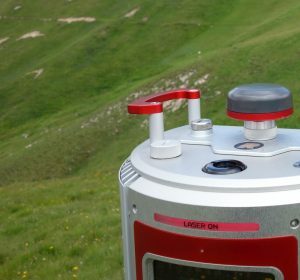 This summer the team from the University of Bozen has sampled vegetation at test sites in the Nature Park Puez – Geisler, aiming at a spatial analysis and an assessment of different types of grassland vegetation with respect to landuse and erosion susceptibility. 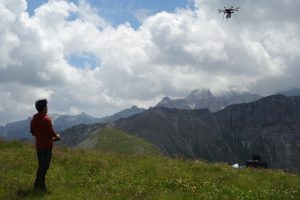 At the same site the EURAC team was flying with an unmanned aerial vehicle (UAV), equipped with multi- and hyperspectral cameras, while field spectrometer measurements on the ground were collected for calibration of the UAV data. 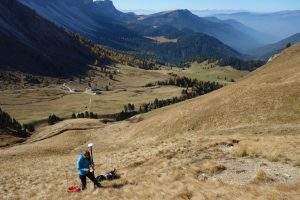 The aim of this experiment is to assess how multi-/hyperspectral data can help to characterize relevant grassland vegetation parameters in the context of erosion studies. 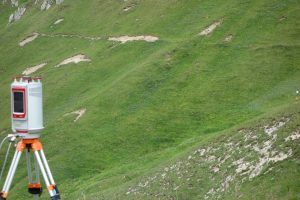 A grassland slope has been surveyed with a terrestrial laser scanner (TLS) to map eroded areas and their morphology. 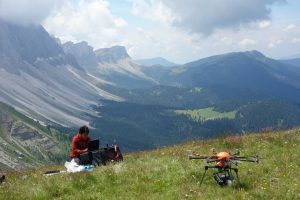 The detailed terrain data from TLS will also be integrated with multi-/hyperspectral data from an unmanned aerial vehicle (UAV) and botanical surveys from field plots to map and analyse vegetation types. 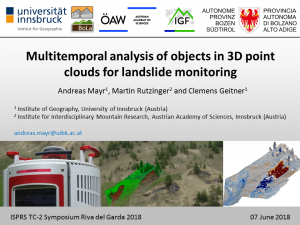 Mayr, A., Rutzinger, M. & Geitner, C. (2018): Multitemporal analysis of objects in 3D point clouds for landslide monitoring. 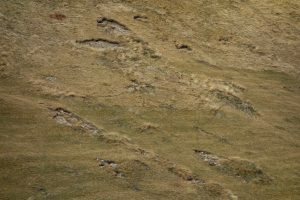 The International Archives of the Photogrammetry, Remote Sensing and Spatial Information Sciences, Volume XLII-2, 691–697. Last week the ISPRS Technical Commission II Symposium 2018 took place in Riva del Garda, Italy, with participants from 37 countries. Researchers, practioners and companies presented and discussed the state-of-the-art in photogrammetry, computer vision, and remote sensing. 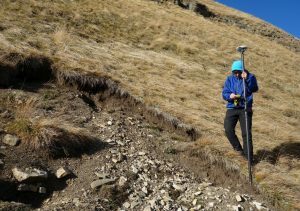 Members of the ERODYN team contributed to the session “3D Mapping for Environmental & Infrastructure Monitoring” with a talk about the latest methodological developments in object-based landslide and erosion monitoring using terrestrial laser scanning point clouds. 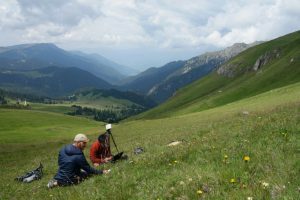 … and looking forward to this summer’s field work! 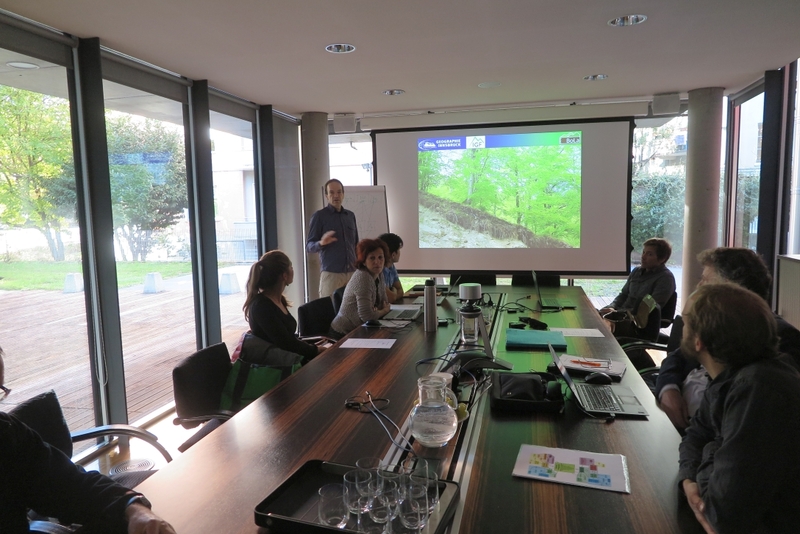 The ERODYN consortium, with members from the Autonomous Province of Bozen – South Tyrol, the University of Innsbruck (Institute of Geography), EURAC research (Bozen, Institute for Earth Observation) and the University of Bozen (Faculty of Science and Technology), met for the project kickoff in Bozen. 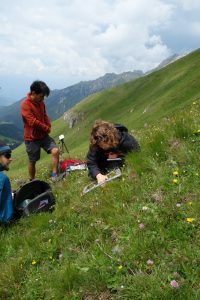 The team discussed the project objectives and the work plan for investigating shallow erosion dynamics in mountain grasslands of South Tyrol.